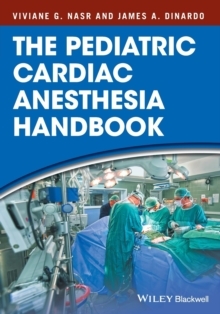 Written by an expert author team at the renowned Boston Children's Hospital, USA, The Pediatric Cardiac Anesthesia Handbook provides a comprehensive yet concise overview of the anesthetic management of pediatric patients with congenital heart disease. This book is divided into two parts. The first part provides an introduction to the basic assessment of patients, including cardiovascular physiology, pathophysiology and the underlying concepts in coronary heart disease, preoperative evaluation, intraoperative management, and interpretation of cardiac catheterization data. The second part of the book addresses disorders and diseases in a templated manner covering the anatomical and physiological features, surgical therapies, anesthetic approach and postoperative management. Chapters on the heart and heart and lung transplantation consider the additional complexities of those patients and anesthetic considerations for non-cardiac surgery after heart transplantation. The anesthesiologist caring for patients with congenital heart disease faces a myriad of challenges in the perioperative management of these complex individuals. 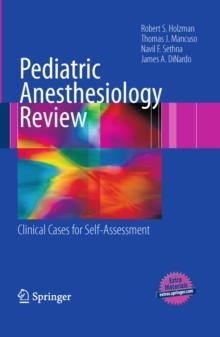 This book provides: * A concise and easily referable guide ideal for use during anesthesiology residency training and fellowships. * A templated chapter layout ideal for easy referral by wider members of the multidisciplinary team, such as cardiologists, cardiac intensivists, perfusionists, and surgeons. * Helpful illustrations and a bulleted content for rapid reference. 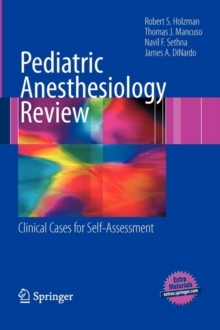 * Guidelines on specific lesions for the pediatric anesthesiologist caring for cardiac patients presenting for non-cardiac surgery. 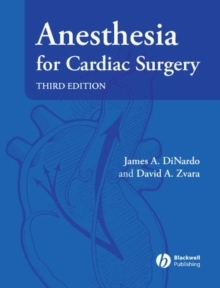 This book is a valuable resource for all anesthesiology and cardiac critical care providers who manage patients with congenital heart disease, and an ideal study aid.